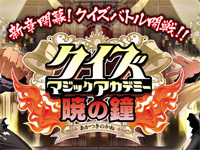 The new Quiz Magic Academy is out in Japan today. Quiz Magic Academy Akatsuki no Kane supports 8 players at the same time. Konami also added new characters (Leon, Shalon, Lask, Malariya, Yu, Riel, Media) and new gameplay features. Watch the trailer to see the presentation of the new characters. 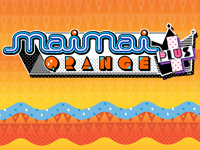 The new version of maimai ORANGE is available since March 19. Sega added some new features to its music game. First, the TOP3 feature: every Thursday, a Top 3 of the best players at each arcade is done. Then the NEWGET feature: a new category listing new songs and objets recently won will be added to help the player to find them faster. There are also a new maiCHALLENGE and a new reset button. Good news for Tsum Tsum collectors: Disney Tsum Tsum from Konami was released in Japan on March 18. The Tsum Tsums are round fluff plush representing Disney characters especially popular in Japan. The are available worldwide since a few months ago. 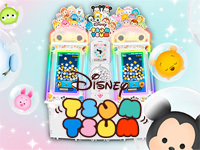 Disney Tsum Tsum is the arcade version of the smartphone game (Android and iPhone) which gameplay is simple: connect at least 3 identical tsums to make them disappear. Each Tsum Tsum has special abilities and players can save their data via the e-Amusmement Pass. They can also play in multiplayer cooperative mode. At the end of a game, the player receives a capsule with a super kawai tsum tsum keychain inside. 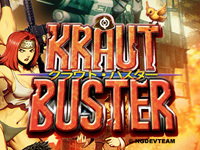 NG:DEV.TEAM announces the opening of pre-orders for its next game for Neo-Geo MVS: Kraut Buster. It's a run'n'gun game in the style of Metal Slug. The story takes place in Europe in 1936, John "Küken" Mallone and Jack "Handsome" Rowdy are part of the Kraut Buster corps, their mission: defeat the evil dictator Dolph Edelwolf and save all girls in the process. Kraut Buster is the first game from NG:DEV.TEAM which supports 2-player simultaneous gameplay. The 2-player mode is integrated within the game engine and will be re-used in the future for appropriate titles, nothing could make us more happy! This is what was missing the most in the productions of the German developer. 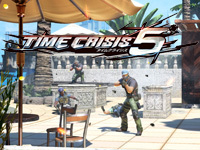 The game will feature 3 routes of different difficulty, finishing the game using the normal difficulty course will take an average of 35 minutes during which the players fight 5 or 6 boss and sub-boss. Technically, the game will run at 60fps and will occupy approximately 784MBits of ROM space. The different levels will be quite long and will offer panoramic backdrops with parallax scrolling. Like most games of this manufacturer, the scoring system is chain based. The project occupies 2 full-time and one freelance pixel artists, one programmer/designer and one musician; the excellent Rafael Dyll. A video of the alpha version has been published on Youtube, the least we can say is that it bears a strong resemblance with Metal Slug (including the bloody aspect). But the game coming out this Winter, plenty of time remains to refine the product. The Kraut Buster cartridge is currently available for pre-order in two editions: the standard gamecenter edition in its cardboard box for €399 and a limited edition of 99 copies hosted in a shockbox with a CD of the soundtrack, 2 posters, a postcard and a set of bonus stickers. This deluxe edition costs €449. A spin-off of Kraut Buster using the same characters but played in a top down view will be released later. 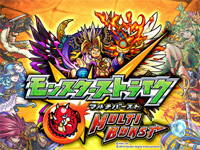 Monster Strike MULTI BURST will be released in Japan tomorrow. This is the arcade version of Monster Strike, a RPG for Japanese smartphones developped by Mixi and Konami. The players use monster and skill cards to play. The arcade version adds new features to the smartphone version: new monsters and a new 2vs2 Tag Battle online mode. Konami already announced that there will be future events common to both the arcade and the smartphone versions of the game. Guilty Gear Xrd -SIGN- v.1.10 will be availabe on March 19. This is a major update since 3 new characters will be added: Shin Kiske, Elphelt Valentine and Leo = Whitefang. 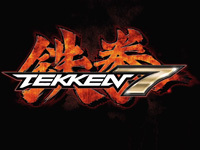 The 17 game characters will be rebalanced and the battle system will be improved. Two new stages will also be added as well as two new game modes: MOM and Sparring mode. A new bar opened in Liège on March 6. Its name? 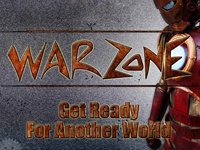 The Warzone! Why are we talking about it? Because it features arcade games of course! You can indeed play Guitar Hero Arcade, The House of the Dead III, Space Invaders, Terminator 2, Sega Rally and Virtua Striker 2. There is also a Star Trek pinball there. But that's not all; the bar has an impressive decor with walls covered with graphs made by GrafoDeco and surprising decor elements such as a Han Solo in carbonite (yes, he was there all this time). Anyway, you understand that the place is super nice! Take a look at this Youtube video to get an idea. Located at number 36 of the rue de la Casquette, the Warzone is open from Monday to Friday from 10am until late and on Saturday from noon. Check the dedicated page on this website occasionally to monitor the arcade area and their official Facebook page to stay informed of the latest events. We wish them much success! 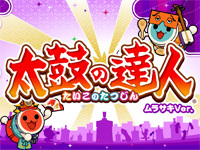 Taiko no Tatsujin: Murasaki Ver. Taiko No Tatsujin 6th update is released today. This time, the color theme is purple (murasaki). All songs and features from the Kimidori version are still present and 14 new songs are added: some come from console versions and others are completely new as Do you want to build a snowman? (Frozen), RAINMAKER (New Japan Pro Wrestling Kazuchika Okada Entrance Theme), Seishun Satsubatsu-ron (Assassination Classroom),... A few small improvements have been made to the game: the Favorites folder may contain 10 songs (compared to 5 in the previous version), the result screen has changed to make the scores and statistics more clear.